It’s predicted that by 2020, there will be 30 billion devices connected to the internet, with 250 new devices added per second. That works out to be almost four internet connected devices per person. While some people do have multiple phones, the enormous growth isn’t fueled by smartphones. Instead, it’s being driven by a range of gadgets known as the Internet of Things What Is The Internet Of Things & How Will It Affect Our Future [MakeUseOf Explains] What Is The Internet Of Things & How Will It Affect Our Future [MakeUseOf Explains] It seems like there are new buzzwords popping up and dying off with each day that passes us by, and "the Internet of Things" just happens to be one of the more recent ideas that... Read More (IoT). It was once the case that only the (now-laughably) large home computers could connect to the internet via dial-up. These days, even miniature devices strapped to your wrist Forget the iPhone X, the Apple Watch Series 3 is the Future Forget the iPhone X, the Apple Watch Series 3 is the Future Confused? Enraged? Bought a Samsung? Relax, this benefits us all. Read More can access the world wide web. Thanks to Moore’s Law What Is Moore's Law, And What Does It Have To Do With You? [MakeUseOf Explains] What Is Moore's Law, And What Does It Have To Do With You? [MakeUseOf Explains] Bad luck has nothing to do with Moore's Law. If that is the association you had, you are confusing it with Murphy's Law. However, you were not far off because Moore's Law and Murphy's Law... Read More , cutting-edge technology is now affordable and widespread, allowing you to get the most from your IoT gadgets. With so much choice, what should you be looking out for in 2018? Cyclists are often left out in the cold by technological developments. The more gadgets you have attached to your bike, the more distracted you are from what you love most. The Wink handlebar from startup Velco aims to overcome that challenge. The tech is integrated into the handlebar with no screens in sight. Instead, it pairs to your smartphone via Bluetooth to offer a novel take on turn-by-turn navigation. Their WinkNav system uses the on-board GPS to illuminate one of two lights on the handlebar to indicate your direction of travel. The built-in GPS is also put to good use as an anti-theft measure, which works anywhere in the world (alongside a subscription to the service). The Wink comes in two varieties — Flat and Urban — and even integrates 224 lumen LED headlights. We all know that sleep is important 7 Secrets to Sleep Peacefully, According to Science 7 Secrets to Sleep Peacefully, According to Science A perfect night's sleep is not as difficult as you might think. We've compiled this list of ten science-based tips and tricks for helping you fall asleep. Read More , but many of us wake up feeling less than refreshed. That’s what makes the allure of sleep-aiding gadgets 9 Gadgets to Help You Fall Asleep, Stay Asleep, and Wake Up Happier 9 Gadgets to Help You Fall Asleep, Stay Asleep, and Wake Up Happier The quality of sleep you get each night directly impacts your mood, health, and productivity the next day. Get better sleep than ever before using one of these smart gadgets! Read More so strong. The Nightingale Smart Home Sleep System by Cambridge Sound Management offers a unique take on the smart sleep gadget. The device plugs into your socket and emits white noise tailored to your room, drowning out other noises. The device was even tested at Harvard Medical School and found to help people fall to sleep up to 38 percent faster. There is a built-in multi-colored LED light that can be customized through the companion app. Nightgale is even fully integrated with all major smart home assistants you can turn the device on from the comfort of your bed. Many IoT devices are sold on the basis that they will help us improve our health. From fitness trackers The 7 Best Fitness Trackers The 7 Best Fitness Trackers If you’re an active person, activity trackers provide incredibly valuable data for logging, improving, and understanding your fitness. But among the devices out there, finding the right activity tracker can be difficult. Read More to air quality monitors 6 Smart Interior Air Quality Monitors You Should Buy For Your Home 6 Smart Interior Air Quality Monitors You Should Buy For Your Home The quality of the air we breathe is very important for our health and quality of life, and these six smart air quality monitors help to ensure your home air is as safe as possible. Read More , these devices have been a staple of IoT for many years. Keeping one eye on the air quality in your home is useful, but what about when you are at out and about? Flow by Plume Labs 6 Smart Interior Air Quality Monitors You Should Buy For Your Home 6 Smart Interior Air Quality Monitors You Should Buy For Your Home The quality of the air we breathe is very important for our health and quality of life, and these six smart air quality monitors help to ensure your home air is as safe as possible. Read More provides a solution. Their portable air quality monitor enables you to keep track of the air that you breathe — no matter where you are. Flow is able to analyze air samples for four pollutants: PM2.5, PM10, N02, and volatile organic compounds. The device connects to your smartphone via Bluetooth and uploads your air quality data to the app. The monitor also lets you become a citizen scientist too, aggregating the data to create a real-time map of air quality around the world. Adjustable, customizable lighting has been one of the cornerstones of all smart home tech since Philips launched Hue Light Your Home the Smart Way With Philips Hue Light Your Home the Smart Way With Philips Hue If you can afford the initial expenditure, you won't find a better-supported and more user-friendly smart lighting system on the market. Read More , their range of smart bulbs. But one area of your home as been left out of the customizable lighting revolution: your garden. The Mipow Playbulb Playbulb Smart Speaker and Lighting Review Playbulb Smart Speaker and Lighting Review Playbulb from MIPOW are a range of connected lighting products with simple Bluetooth controls. With the Playbulb Color bulb, you can even play music. We've got a complete set to give away! Read More ecosystem now includes the Playbulb Garden, a customizable solar-powered LED bulb. Unlike their indoor equivalent, they require no additional power. Instead, they recharge their 1000mAh internal battery with solar power with each bulb lasting up to 20 hours. The bulbs also turn on and off based on light conditions, so their resources are never drained unnecessarily. As they only need light to recharge and a Bluetooth connection, the bulbs are portable too. With the rise of music streaming platforms Amazon Music vs. Spotify vs. Apple Music: Which Is Best for You? Amazon Music vs. Spotify vs. Apple Music: Which Is Best for You? This comparison of Amazon Music Unlimited, Apple Music, and Spotify, will help you find the best music streaming service for you. Read More like Spotify, we’ve increasingly turned to our smartphones for our audio fix. If you want to go a little louder, the best option is usually a Bluetooth speaker The Best Bluetooth Speakers Under $25 and Up to $300 The Best Bluetooth Speakers Under $25 and Up to $300 You can't beat the convenience of going wire-free. Great audio quality may always need wired speakers, but for music on your phone Bluetooth speakers are a must-have accessory nowadays. Read More . However, it isn’t the only way. The Sonos PLAY smart speakers have long been some of the best on the market. Using the app you connect each of your streaming services to the speaker, and can create multi-room audio setups. Even back in 2015, the Sonos PLAY:1 Sonos PLAY:1 Review and Giveaway Sonos PLAY:1 Review and Giveaway Read More — their entry level speaker — was one of the best options around. As a forward thinking company, Sonos make sure their speakers integrate with all the major smart home hubs. Then, late in 2017, they took this ambition one step further. The All-New Sonos One now comes with Amazon’s Alexa Why You Need Amazon Alexa in Your Home This Christmas Why You Need Amazon Alexa in Your Home This Christmas If Santa needs elves to accomplish his Christmas magic, it's only fair that you have a holiday helper too! Here's why an Alexa Christmas is the best Christmas. Read More built directly into the speaker. 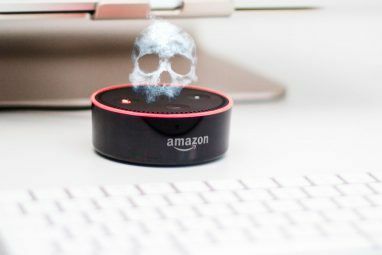 This turns the already excellent speaker into your new smart home hub — no Echo required Amazon's All-New Echo: 10 Things You Need to Know Amazon's All-New Echo: 10 Things You Need to Know The Amazon Echo fuses artificial intelligence assistant capabilities with speaker functionality. This allows for a variety of uses, from streaming music to integrating with smart home technology. Read More . It’s estimated that more than 31 million Americans experience lower-back pain at any one time. The cause of the pain isn’t your fault — our modern lifestyles are the culprit 5 Things You're Doing Wrong At Your Standing Desk 5 Things You're Doing Wrong At Your Standing Desk Many people, especially those who work from home, are looking to standing desks as the solution for prevention of several serious health issues caused by sitting all day, but not everyone uses it correctly. Read More . While there are plenty of ways to improve your posture How to Finally Fix Your Posture and Avoid Back Pain How to Finally Fix Your Posture and Avoid Back Pain Back pain from improper posture can negatively affect your life. Thankfully, there are several easy strategies that can give you some relief and prevent future pain. Read More , the idiom “there’s a smart device for that!” has never been truer. Enter Lumo Lift, the first wearable posture coach. The Lumo Lift sensor sits inside your shirt, just below your collarbone. Once you’re in your perfect posture, press down on the device to set the target. As you move throughout the day, the device’s accelerometer analyzes your position, and the Lumo Lift will vibrate if your posture is out of line. The device also doubles as a step tracker, with all the recorded data synced via Bluetooth to the companion app. 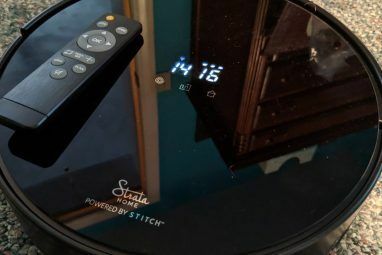 Any mention of the smart home often conjures up scenes from The Jetsons where household appliances do the chores for you. The robotic vacuums we have roaming the house 6 Top Robot Vacuums You May Be Able To Afford 6 Top Robot Vacuums You May Be Able To Afford These days, you can find robot vacuums for less than $200, making them great for yourself or a good gift for a techie friend. Read More bring this vision of the future one step closer. Now, gardening firm Husqvarna wants to take this robotic transformation outdoors with their range of robotic lawn mowers. The Automower borrows many of the features of the robotic vacuums, from app-based programming, to self-docking for recharging. The cuttings are only a few millimetres long and fall to the ground, acting as a natural soil fertilizer. If the thought of a robot with rapidly rotating blades makes you nervous, the Automower’s safety features should put you at ease. If the mower’s operation is in any way interrupted, the device powers off. Where meditation was once considered the preserve of the spiritual, it has been rebranded as a modern wonder-drug. The benefits of mediation are desirable; sleep improvement, stress reduction, improved happiness, and a longer, healthier life. While many choose an app-based approach to meditation 6 Mindful Meditation Apps That Will Improve Your Life 6 Mindful Meditation Apps That Will Improve Your Life Living a more mindful live through meditation can have amazing positive effects. Give it a try with these apps. Read More , the brain-sensing firm InteraXon has another idea. Muse is the company’s Bluetooth-enabled mediation headband. Simply slip the band over your head, open the app, and begin your mediation. As you meditate the band analyzes your brain waves. If it senses you are calm, then you will hear calming sounds. If your brain is awash with activity, then you’ll be cast into a stormy audioscape to remind you to let go of your thoughts. One of the largest markets for wearable technology is fitness trackers. We’re addicted to the data which helps us maintain progress and keep improving. While most fitness trackers are aimed at runners, the Game Golf Live Tracking System wants to analyze your golf game. The tracker pairs to your smartphone or smartwatch Should You Buy a Wearable? 4 Reasons You Need a Smartwatch Should You Buy a Wearable? 4 Reasons You Need a Smartwatch If you're on the fence about buying a smartwatch, 2017 might be the year you finally take the plunge. We've covered four big reasons why smartwatches have finally become a worthy purchase for consumers. Read More to give you real-time insights for your game. Once you’ve attached the tags to your clubs, and selected your course on the companion app, then all you need to do is take your shot. The tracker then records information on your swing, the shot itself, and fairway accuracy. Afterwards take a seat at the club house, and you can analyze your entire game right from the app. There is no need to worry about suspicious looks on the green either, as the Game Golf is fully approved under the Rules of Golf. Over the past few years Virtual Reality has been transformed from science fiction to, well, reality. You can roam through virtual worlds This Is What Happens When VR Meets the Real World This Is What Happens When VR Meets the Real World Virtual reality is taking over the world of gaming, but there's a lot more to VR than blasting through space more realistically. Here are eight more real world uses for VR. Read More , controlling everything with the movement of your hands alone Dell Visor Mixed Reality Headset Review [Updated] Dell Visor Mixed Reality Headset Review [Updated] The tracking technology is promising, but hold off until we see SteamVR support. Right now, the Oculus Rift represents much better value for money. Read More . The Myo Gesture Control Armband [No Longer Available] brings that experience to the physical world. If you’ve always had a hankering to ditch your computer’s keyboard and mouse then Myo might be for you. Presenting is stressful enough, without having to constantly worry about which button to click next. Myo integrates with most presentation software to allow you to control your slides with just a few gestures. The armband also integrates with a number of drones for screen-free control. The Myo Market lets developers submit their own apps for the platform, with over 100 currently available across Windows, macOS, iOS, and Android. Which Internet of Things Devices Will You Try? It feels as though the internet has been around forever, but you only have to look back two decades to see how different things really are. IoT devices have the potential to usher in a new era of computing The Internet of Things: How It'll Change Your Life Next Year The Internet of Things: How It'll Change Your Life Next Year Internet of Things has undergone its own Cambrian Explosion, and it promises to make your life much more convenient in the years to come. Here's why. Read More , where our smart gadgets help us finally decouple from our screens. That’s so long as manufacturers tackle the sector’s glaring security flaws Is Your Smart Home at Risk From Internet of Things Vulnerabilities? Is Your Smart Home at Risk From Internet of Things Vulnerabilities? Is the Internet of Things safe? You would hope so, but a recent study has highlighted that security concerns raised several years ago have yet to be addressed. You smart home could be at risk. Read More . 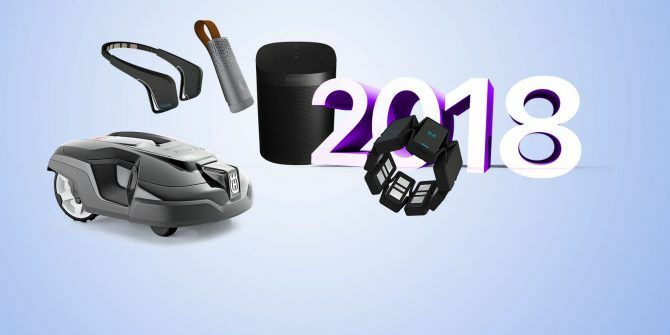 The sector has seen such rapid development it seems hard to believe that it was only in 2016 The Internet of Things: 10 Useful Products You Must Try in 2016 The Internet of Things: 10 Useful Products You Must Try in 2016 The Internet of Things is ramping up in 2016, but what does that mean exactly? How do you personally benefit from the Internet of Things? Here are a few useful products to illustrate. Read More that Bluetooth IoT devices were hot property. 2017 followed, whizzing by in a whirlwind of AI assistants Google Assistant vs. Bixby: Does Samsung Have Any Hope? Google Assistant vs. Bixby: Does Samsung Have Any Hope? Samsung has introduced their own voice-controlled competitor to Google Assistant -- but is it enough? 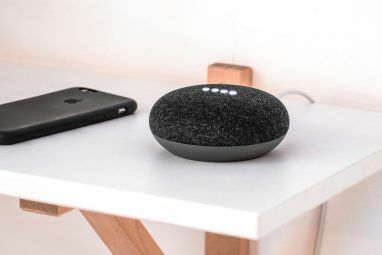 Read More and smart home devices The 10 Best Internet of Things Gadgets You Must Try The 10 Best Internet of Things Gadgets You Must Try Just a decade ago, gadgets like these were the stuff of imagination. But now, Internet-connected toys, headphones, luggage and more are widely available. Here are some amazing products you should definitely check out! Read More . If the past few years are any indication, 2018 is set to be another bumper year for the Internet of Things. How many on this list have you tried? What are you excited by? Or do you think the Internet of Things isn’t really all that great? Let us know in the comments! Explore more about: Internet of Things, Smart Appliance, Smart Garden. "1. Handlebars to Guide You Home"
What next, the Autonomous Bike?! You don't have to pedal. You don't have to steer. Just sit back and enjoy the ride. Makes for great exercise. "2. A Smart Plug for Restful Sleep"
Works great in a lab, under controlled conditions. But how is that gizmo going to help me when I'm worried about paying for my kids college, or that my kid is on drugs? Is it going to help me sleep when I have a tooth ache or some other acute pain? What's the point of monitoring for a problem if you don't/can't do anything about it? "4. Smart Lighting for Your Garden"
A gadget for people with more money than common sense. This gizmo takes all the fun out of gardening. "5. Home Speakers That’ll Take Orders"
Just another way to spy on the owner(s) and harvest data about them. "6. The Wearable Posture Coach"
Another step on the way to Six Million Dollar Man. Puttering in the garden is a method of de-stressing. Why let a machine do it? The peace of meditation is supposed to come from within, not from some gizmo sitting on your head and telling you to "RELAX, RELAX!" "That’s so long as manufacturers tackle the sector’s glaring security flaws." And until they do, I will not be trying any IoT devices. Can you imagine what kind of psychological hell you can put someone through if you hack their Meditation Band or their Sleep Plug?! Cyber bullying would seem like child's play in comparison.